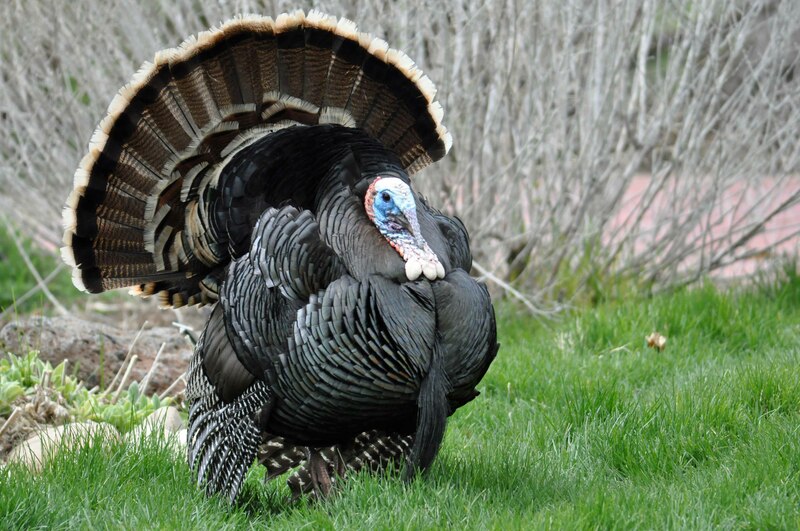 Nothing says “El Hefe” like a displaying male wild turkey! Both the mail and female California Quail display that distinctive head feather; larger in the mails. 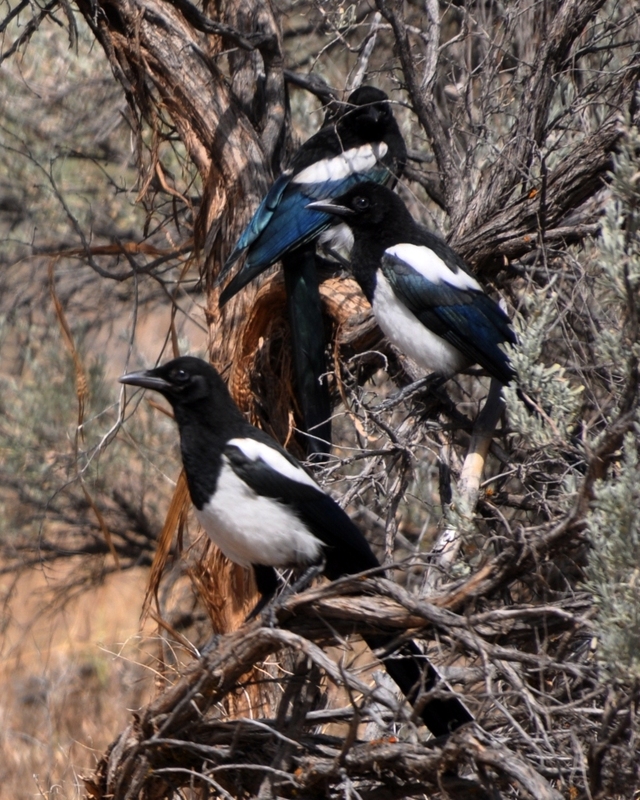 Beautiful magpies have developed an unwarranted bad reputation in many parts of the world. 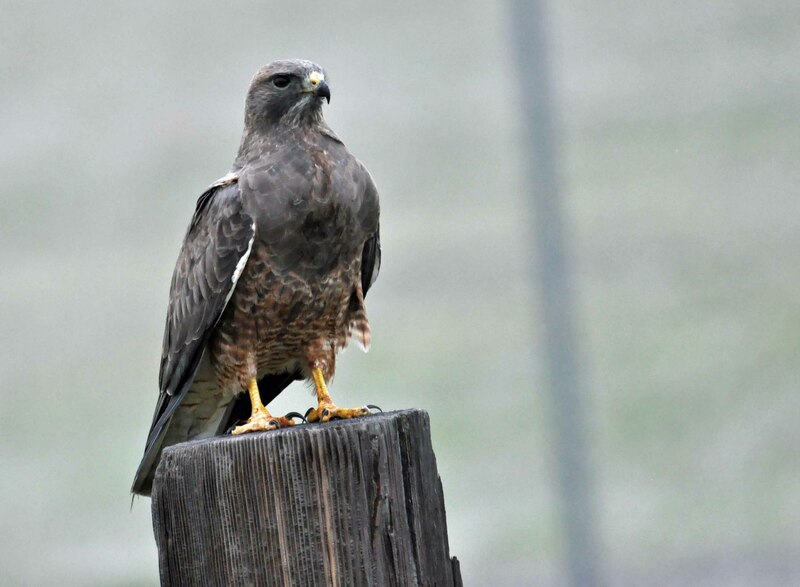 Swainson’s Hawks are great migrators that return to our area in the spring; this one appears to be a younger bird. You’d expect to find the Great Horned Owl in a tree instead of the side of a cliff – but not in Idaho. Open areas are a great place for wildlife observation and photography and Idaho has some of the best. Without all those pesky trees and other vegetation in the way you can get some nice, clear uninterrupted shots – and get them at eye level too – often a rare opportunity when dealing with our avian friends. This was the case in the above example of the wild turkey. I had just entered the visitors center at the Deer Flats Wildlife Refuge outside of Boise last week when I noticed several large birds moving around outside. Surprised at the color and size of the animals I asked one of the curators there if these were truly wild turkeys. I was assured that they were indeed wild turkeys. The birds had shown up unexpectedly about a month ago and kept returning. I immediately raced back out to my car, grabbed my camera, and prowled up to the back of the building where the big guy posed for some excellent shots. 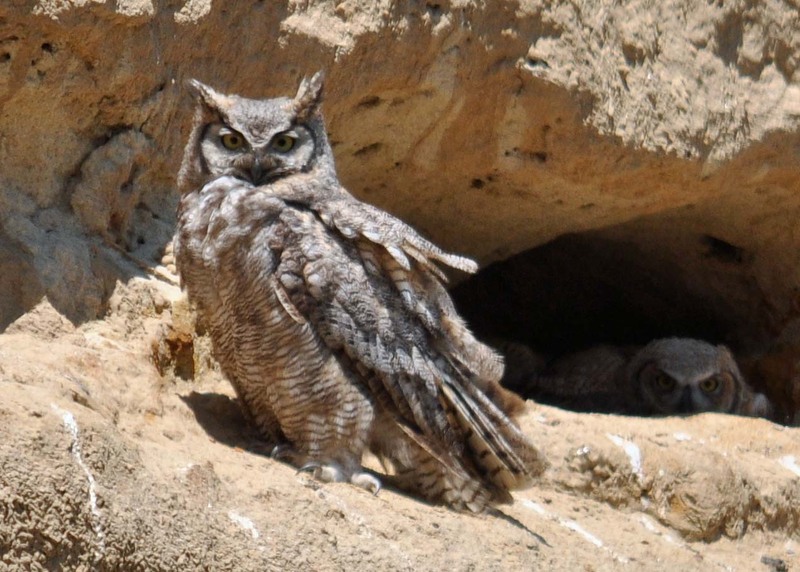 On two other wildlife parks outside of Boise, the names of both I have forgotten, I took these pictures of a Great Horned Owl burrowed into a rocky cliff and a family of Magpies. Magpies are members of the corvid family and have a surprisingly large range. I’ve seen them in Alaska, throughout the Northwest, Korea, and Central Asia. But when you get into taking photographs of wildlife you soon learn that you never know when a prime opportunity will present itself. I had been trying to get good photos of California Quail for some time. They are common birds and relatively at ease around humans but the ones I encountered in the wild were difficult to approach. Then one day on the ID National Guard Airfield at Gowen Field this flock allowed me to snap several nice shots. Shortly afterward I was zooming along the highway outside of that same place when this Swainson’s hawk caught my attention. I pulled over and clicked away as the bird sat calmly by. Great opportunities pop up in unlikely places so keep that camera handy.